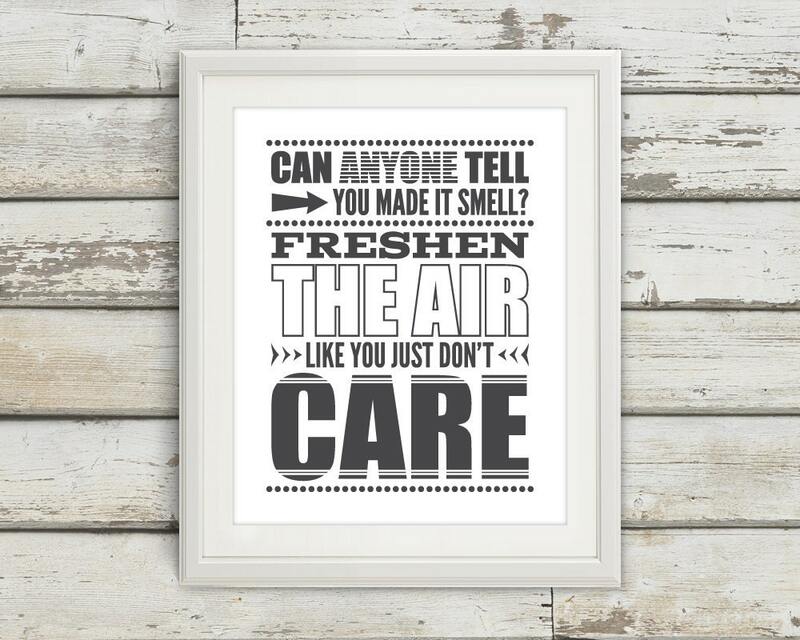 This original "Can Anyone Tell That You Made It Smell? 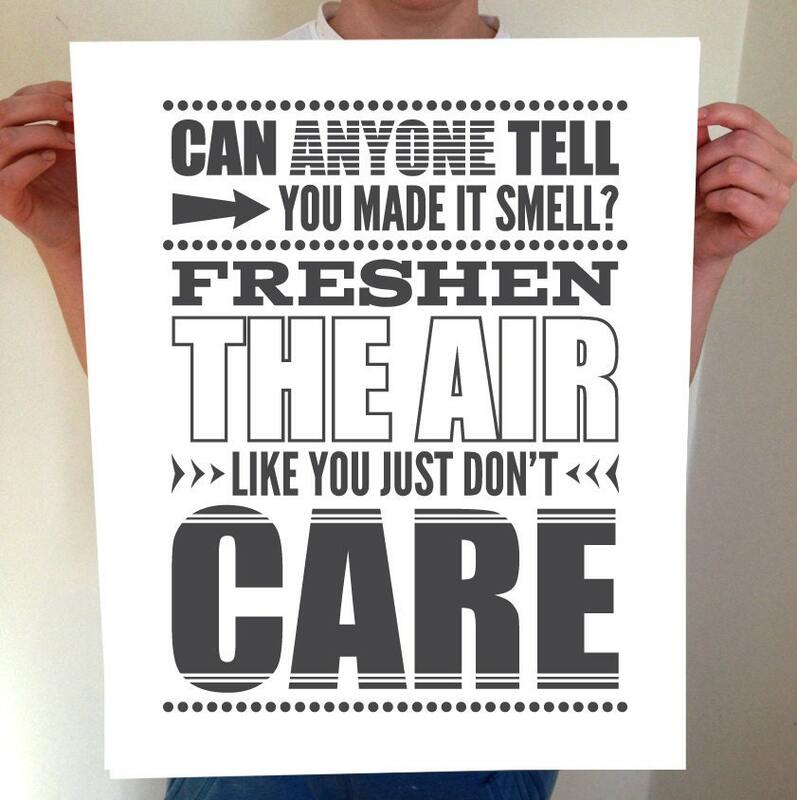 Freshen The Air LIke You Just Don't Care!" Print would look great in any home. 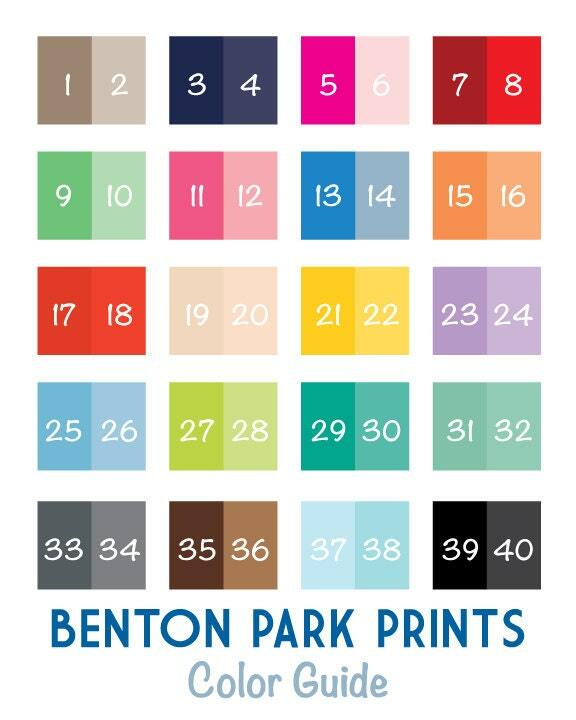 This print is professionally printed on a thick matte stock paper. The frame and matte are not included, but it is perfect for framing. The word "proof" is removed when printed. This "Can Anyone Tell That You Made It Smell? 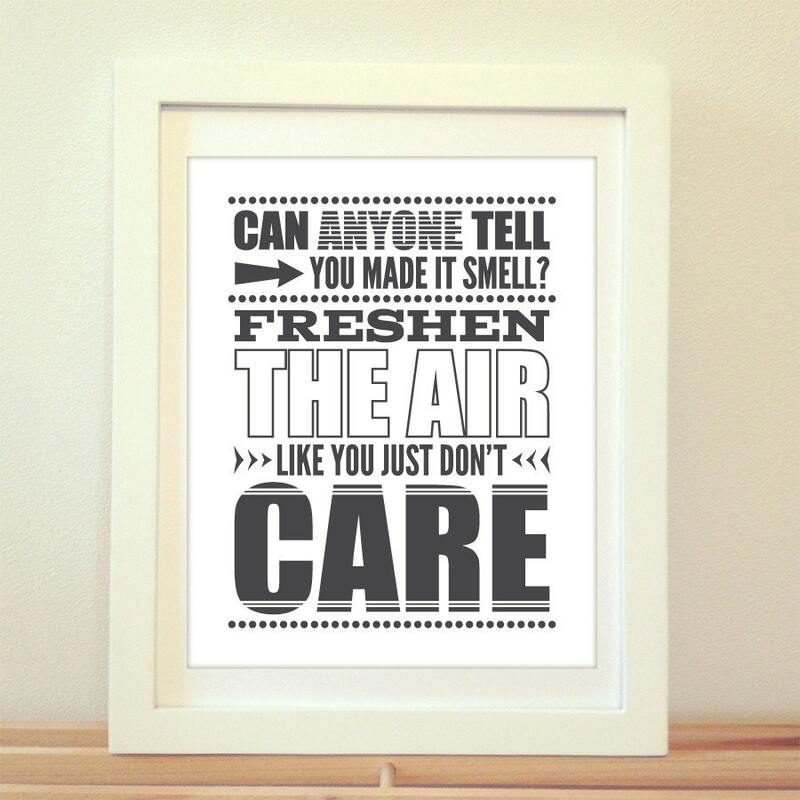 Freshen The Air LIke You Just Don't Care!" Poster is shipped in a sturdy photo mailer or tube depending on size.